The holidays are coming!! Are you ready for it?? I have to say I start to plan out our gifts early, makes the holidays so much easier on the budget and it gives us tome to think outside the box with unique gift ideas! 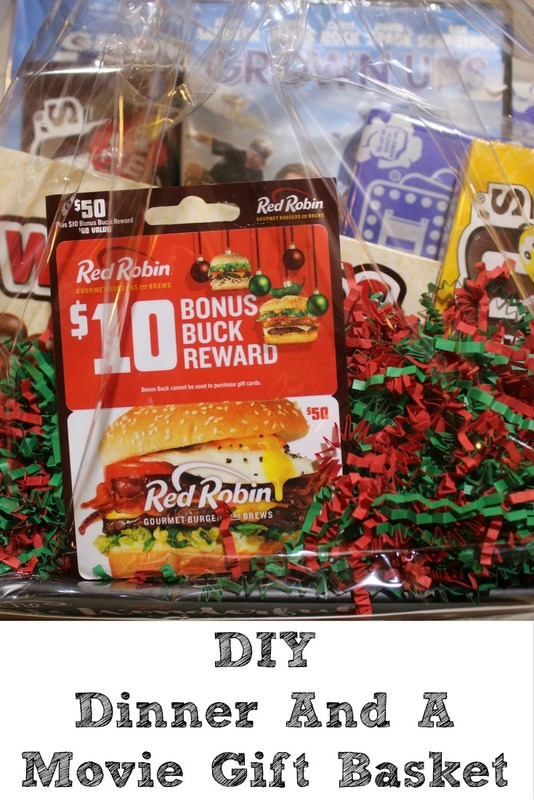 Thank you to InComm for sponsoring these DIY Dinner And A Movie Gift Basket Idea, the post contains affiliate links. You ever have that person that is impossible to buy for, cause they buy everything they need or want on their own?? Let me tell you that is my parents! 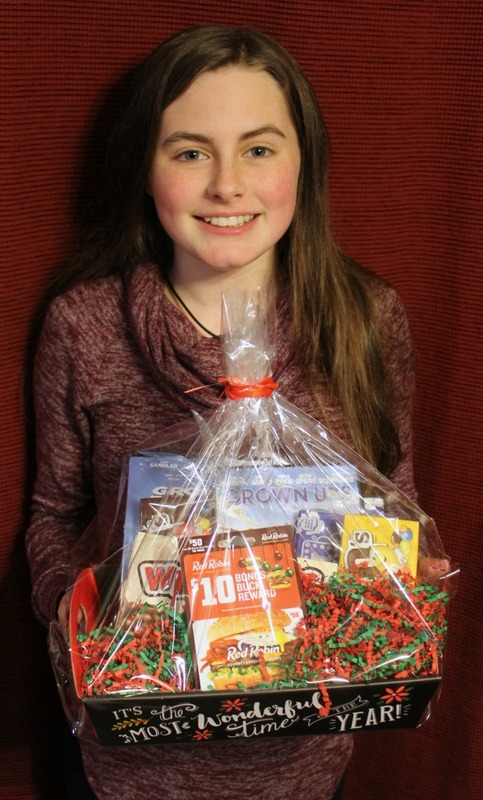 As much fun as it may not seem to be gift cards really are the best gift options for them. 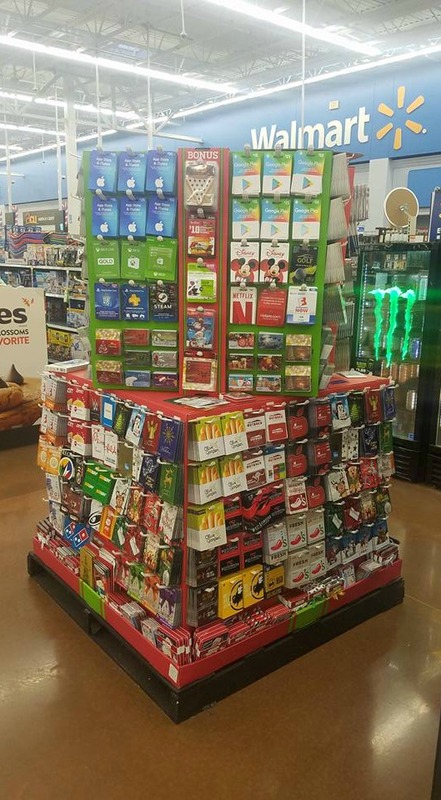 We were at Wal-Mart picking up Kylie’s concert outfit and some groceries when we found the special holiday display of gift cards!! Kylie jumped right on the Red Robin cards!! $50 and a free $10 gift card!! This is one of the few restaurants both my parents can agree on. 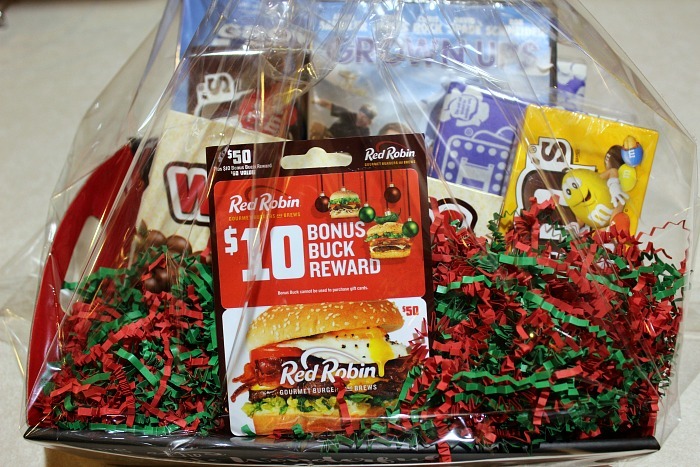 Now my mom isn’t the kind that likes to go to theaters often at night so we opted to make a movie night in to pair up with their Red Robin gift cards. Now one thing I love about Walmart is everything is right there, we found some cute holiday packaging and some of my parent’s favorite movies at a great price to pick up for the gift basket!! 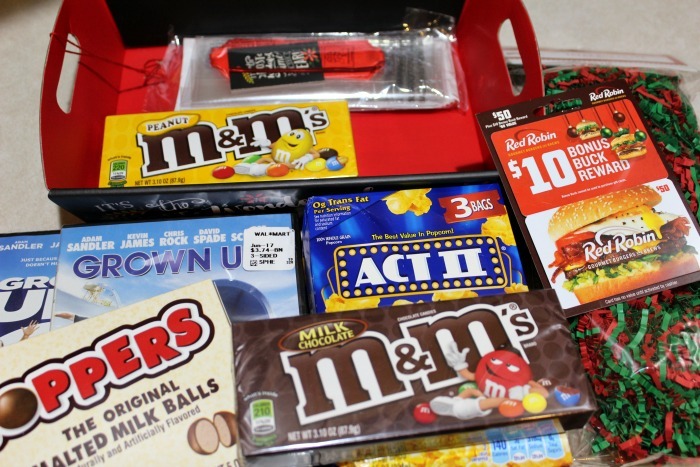 We also had to pick up some of their favorite candies and some popcorn, I mean what doesn’t beat treats with a good movie?? Kylie picked out the gift packaging from the Christmas aisle! She loved that everything fit right in and that she was able to help assemble such a fun gift for her grandparents. How do you give gift cards?? 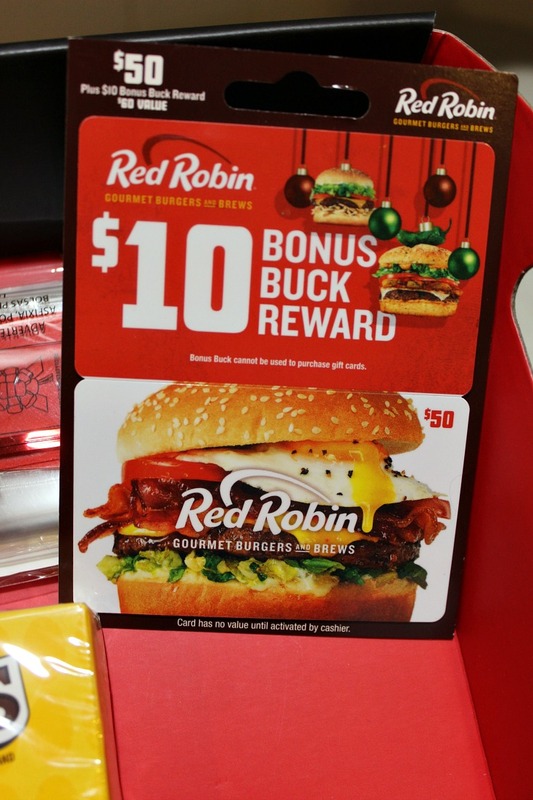 Want to get in on some of the bonus action at Walmart?? Look for the display!! !